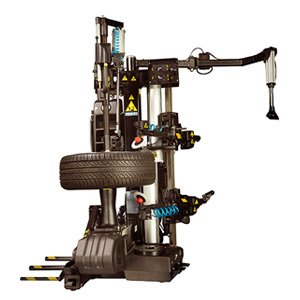 Hofmann - monty™ 5800 Truck Tire Changer - Gary Bloom Sales, Inc.
Hofmann’s monty 5800 series heavy-duty tire changers are designed to mount/demount tires up to 95″ in diameter. 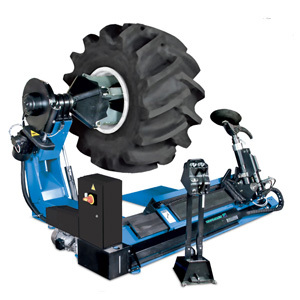 The monty 5800 series features a hydraulically-operated self-centering four jaw chuck with clamping jaws that can clamp from 14″ to 58″ either from the wheel’s inside or from the center bore. 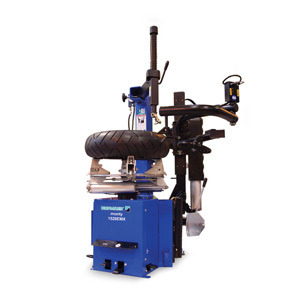 The chuck can be lowered as much as 13.78″ from the carriage – great for handling wheels without tires! 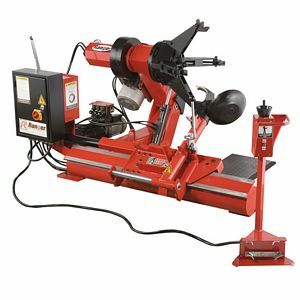 Powerful hydraulic cylinders are used to operate the mounting tool and bead breaker, providing for 7,600 lbs. of bead-breaking power! 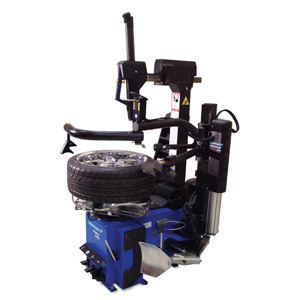 Handles a wide range of wheel and tire assemblies thanks to the adjustable mounting tool – adjust the length or angle to achieve optimal working positions! Two-speed chcuk allows for flexibility and versatility.